When you are new in addiction recovery, everything can appear to take forever. We want to hurry up and get through this. Drug addiction recovery is an ongoing process and not the completion of an event. Below are some actions that are most strongly suggested, in order to continue to be successful in drug addiction recovery for the long term. Follow through with counseling – statistics say the longer you can engage in formal treatment the better your chances. Your counselors and therapists are the main ones to keep you right on track in your recovery efforts! Remember Time – After you have gotten out of the addiction and recovery center you may be frustrated with the thoughts of drugs or alcohol that are plaguing your mind. However, you must remember that recovery is a process that takes time and there is nothing you can do to speed up the process of time, no matter how dismal or depressing that thought seems. Keep yourself Occupied – Many recovering addicts often find it hard not to go back to their old lifestyles, but the one thing that can help greatly is to keep yourself productively occupied. Get new interests, find new friends who are happy and cheerful, avoid isolation and boredom they may prevent you from re-engaging in destructive behavior. Take One Day at a Time – If you are becoming so frustrated that you’re feeling like you just want to have some more alcohol or that one last taste of drugs, stop before you get there! Take a deep breath and realize that your recovery will only go one day at a time! Many people have to force themselves to take one minute, hour, and day at a time simply to keep their heads above water. Find New Behaviors – this is something that many addiction counselors will focus on, but what are you going to do when it should have been the time for your daily dose of alcohol, LSD, marijuana, or other drug? If you can find different things to do with that time of day, it will be better for you in the long run. Let your Family Know – Difficult as it may be, your family should be the first to know. They will help you get back on your feet and stay there and provide a lot of emotional support when you need it the most! Never Give Up! – This is a very old cliche, but has proven to work many times over! A recovering addict is an individual who cannot afford to give up. The drugs and/or alcohol that you just got away from will return to tempt you, so you must remember to never give up in the face of temptation or frustration. These above tips will certainly help your drug addiction recovery efforts in both the short term and the long run. By following all of the above steps and surrounding yourself with positive influences will help you now and in the future when you absolutely need it. I like your idea to find new behaviors to replace drug use. It makes sense that doing other things could help you keep your mind off drugs. My best friend is in recovery, and I am trying to find ways to help. I will definitely try and get him to try some new activities with me to replace some of his old ones. Thanks! It’s great that you talked about getting new interests and finding new friends who are happy and cheerful. My cousin is looking to get some suboxone treatment done in the next week is so and wants other tips on how to overcome problems. I’ll be sure to talk to him about changing his interests and getting involved with new people. My wife and I have been wanting to help her brother who is currently going through addiction right now. I liked that you had mentioned that it can be important to make sure counseling is followed through with. We’ll have to start looking for counseling for him that can help him overcome the addiction that he’s been going through, and we’ll be making sure he follows through with everything. I absolutely loved that you talked about just taking a deep breath sometimes and remembering that recovery will only go one day at a time. I have a roommate who is looking to get some drug abuse treatment but wants any tips he can get. I’ll b sure to talk to him about just taking one day at a time. My friend has recently told me that she is addicted to a drug, and now she wants to find a way to become sober. I really want to help her out, so I’m glad that you say that it’s a good idea for former addicts to have emotional support from their friends and family. I’ll have to do that and help my friend find an addiction recovery program to join. My cousin wants to be clean and go back to college to finish his degree. It was discussed here that he should take one day at a time and find new behaviors to help him through drug addiction recovery. 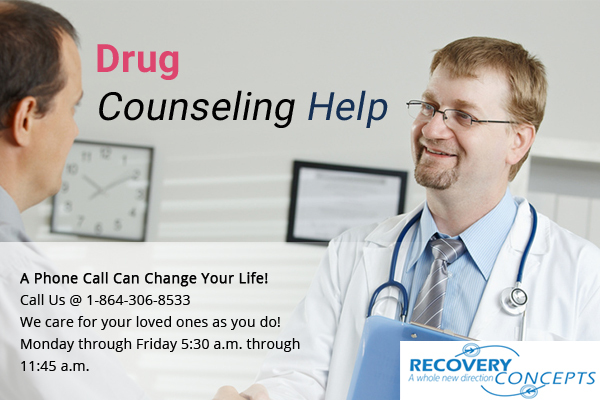 Furthermore, it’s recommended to go to professionals for drug addiction recovery.